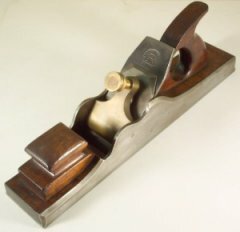 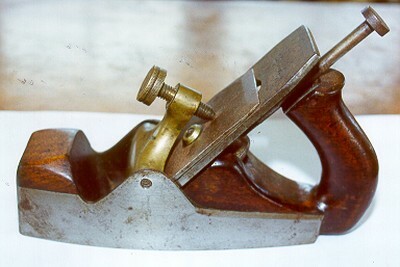 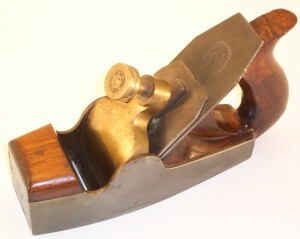 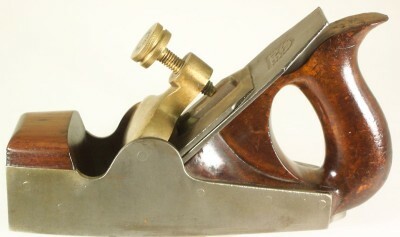 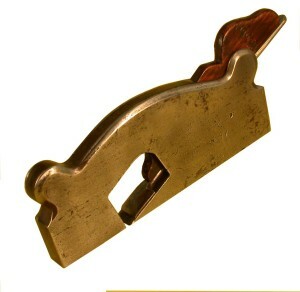 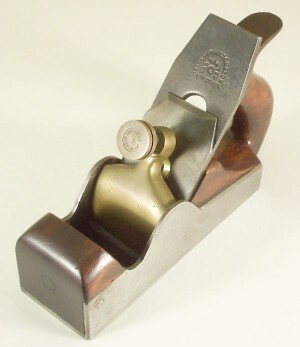 Jas McLaren woodworking Planes were made around the late 1800s to early 1900s in Melbourne. 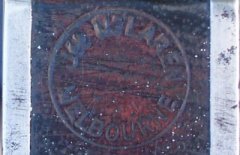 Marked with his name. 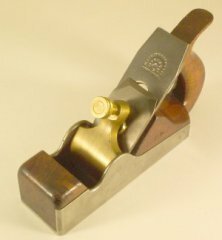 The base is dovetailed steel, 7 5/8 " long, cutter 2¼" and Blackwood infill. 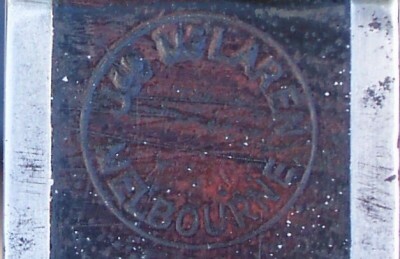 Marked with his name. 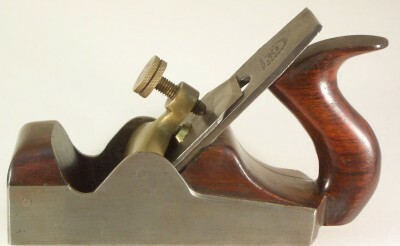 The base is dovetailed steel, 7⅝" long, cutter 2 1/4" and Blackwood infill. 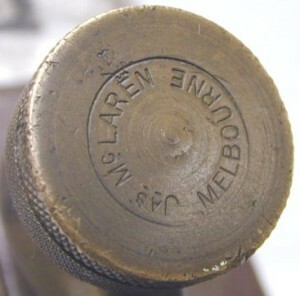 This is thought to be of Scottish provenance, and bought out when McLaren emigrated to Australia. 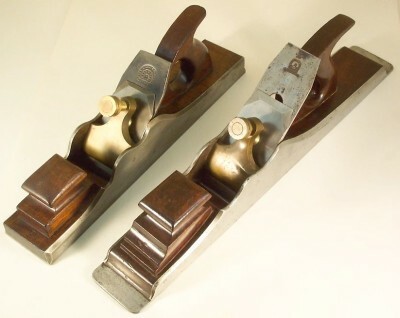 Both open tote with Blackwood infill. 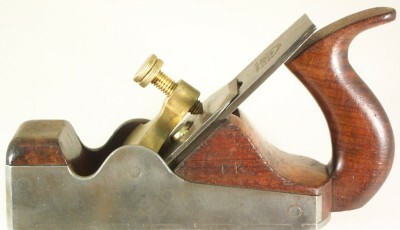 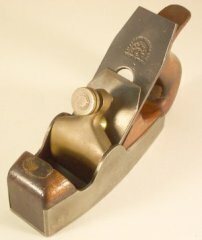 Jointer is 20½" long, cutter 2½" and Panel is 15⅜" long, cutter 2½". 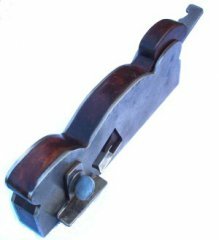 Open tote. 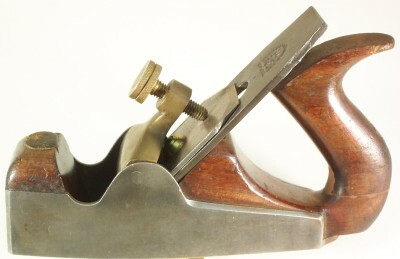 15⅜" long, cutter 2½" and with Blackwood infill.